In this role you will be providing financial support and expert advice on grant and non-grant management, manage and maintain financial operation activities and financial controls, cash and bank management, financial accounting systems, payroll including audit liaison in order to ensure an efficient, secure and controlled financial environment in compliance with VSO policies and procedures and local regulations. if you see your comfortable and interested to this role, this might be your job! • Strong leadership experience in budget management, financial planning and analysis. Knowledge of Internal and External Audit. Strong attention to detail. • Line Management – experience of managing staff with the ability to develop, coach and motivate a high performing team and empower others to apply good financial management principles. • Financial Business Partnering - Service oriented, customer focused approach. Experience of working in and understanding a global organisation, using knowledge to analyse and interpret financial information to support management. • Financial and Information Technology Systems – Advanced knowledge of Microsoft Office, Excel particularly. Use of accounting software and reporting packages including SUN. 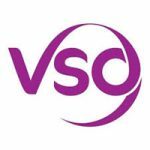 • Values - Commitment to VSO’s work and values particularly being able to work in a way that empowers others and transfers skills. The Ideal candidate will be responsible for implementing human resource policies and procedures, providing guidance and support to employees and volunteers, Manage contract extension and conduct exit interviews for staff and volunteers, reviews and advice on all employee suspensions, demotions, and discharges to ensure compliance with labour laws, policies procedures, and acceptable management practices, coordinate team to ensure all Tanzania Learning Hub information is relevant and up to date, this might be your job! • People Management - substantial management level within a complex organization. Ability to lead, develop, motivate, coach and support a high performing team. • Demonstrable commitment to delivering excellent customer service. • Information Technology - Good level of computer skills (Windows, Excel, Power Point, Word, Internet). • International Development - Understanding of the role of international development, more specifically volunteering in Country. • Ability to work on own initiative, with a creative approach to problem solving. • Strong level of attention to detail. • Commitment to VSO’s values, particularly in developing an understanding of HIV&AIDS and Gender mainstreaming. Experience working with international. Non-Government Organizations and with Government Officials. Knowledge of Country employment laws.